With four bands to choose from, you're bound to find your home. 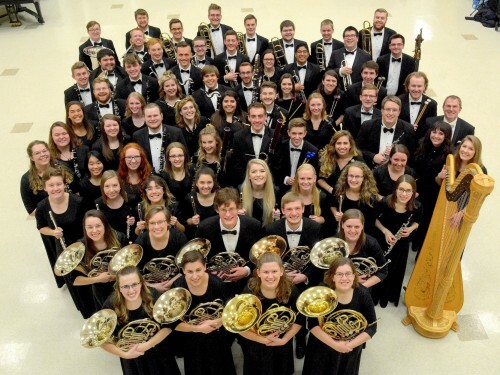 Whether you’re attending a concert by a large ensemble or cheering along with the Cobber Athletic Band at a home sporting event, you’re experiencing the talent and dedication Concordia music students are known for across the country. All instrumental ensembles, large and small, participate in the annual fall PRISM Concert. 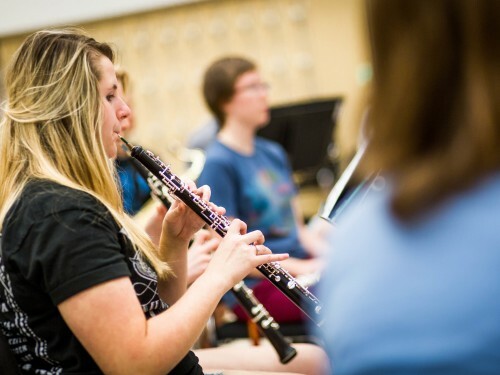 Regardless of experience, there is a place for interested students in The Concordia Band program to make music and memories. Audition results will be posted on CobberNet on Thursday, Aug. 30. 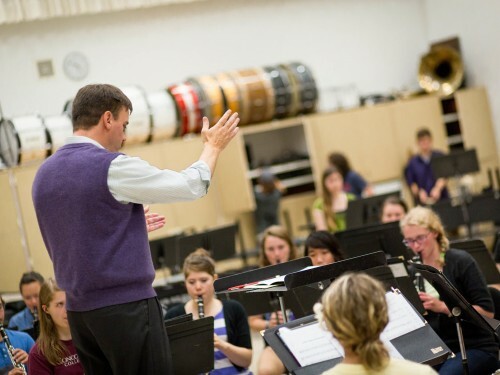 As one of our oldest and most distinguished performing ensembles, The Concordia Band is open to all students. This group performs in concerts on campus and in the community throughout the academic year. This group is open to all students. 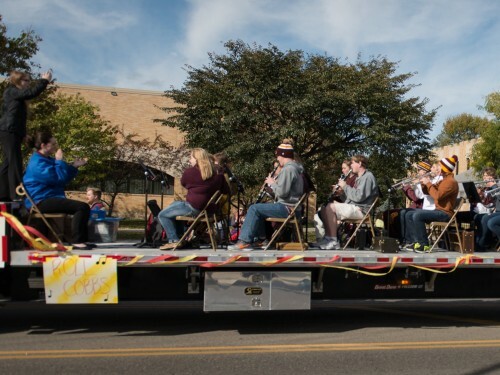 As the only non-auditioned concert band, this makes a great outlet if you enjoy playing music recreationally, or to try your hand at a second or third instrument. The Cobber Athletic Band performs at sporting events on campus. This non-auditioned, fun band keeps Cobber athletes and the crowd pumped up.